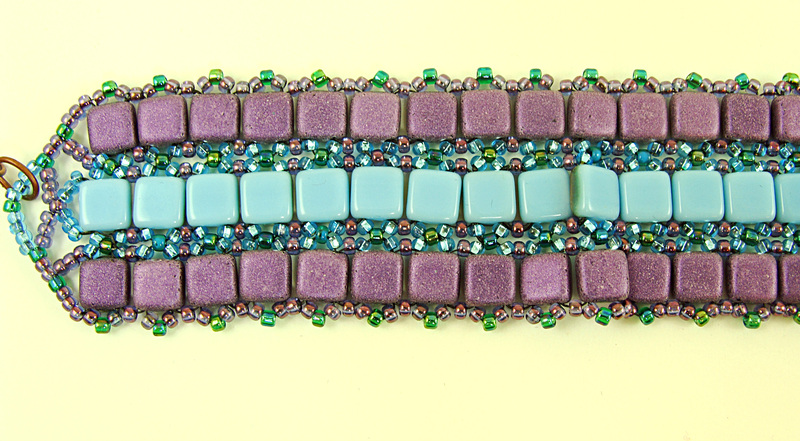 First time weaving withTriangle beads! 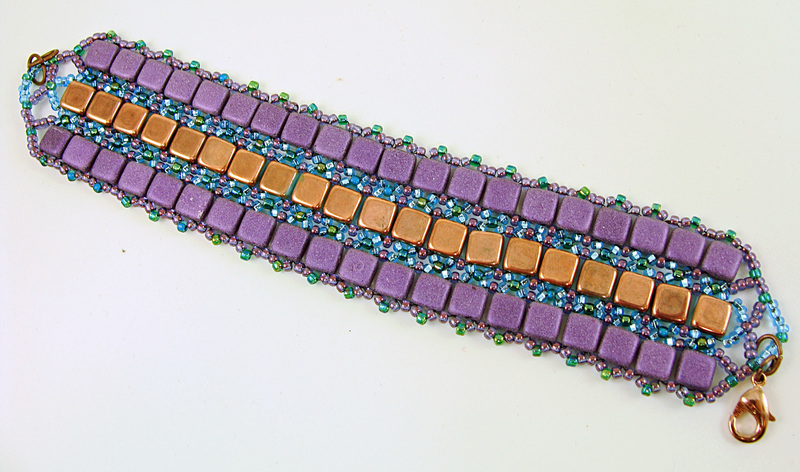 I saw this design in a magazine and gave it a whirl. 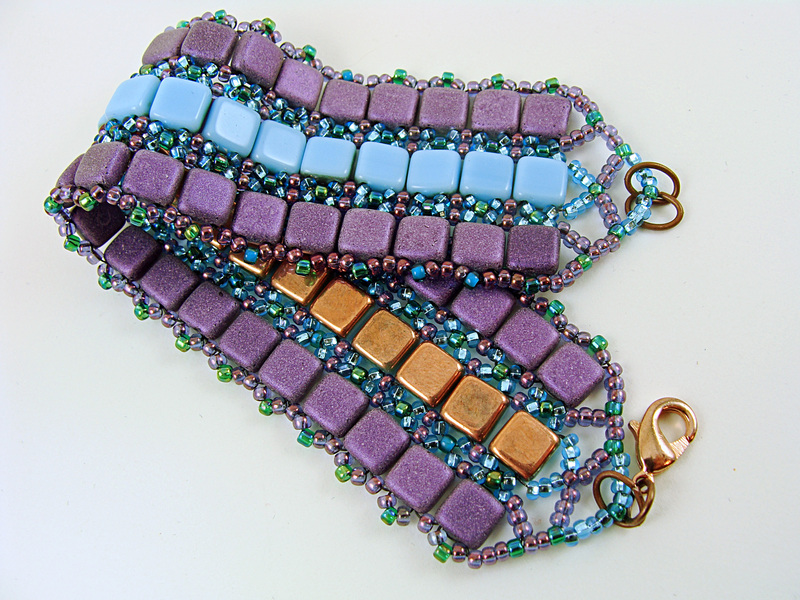 I am interested in finding ways to use different shaped beads. 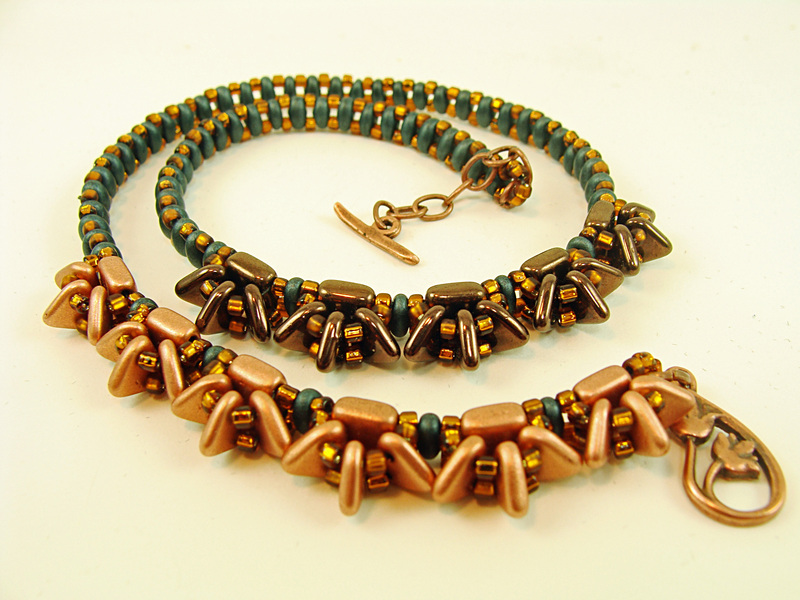 I used copper and dark bronze triangles and Tilas with matte peacock blue super duos. 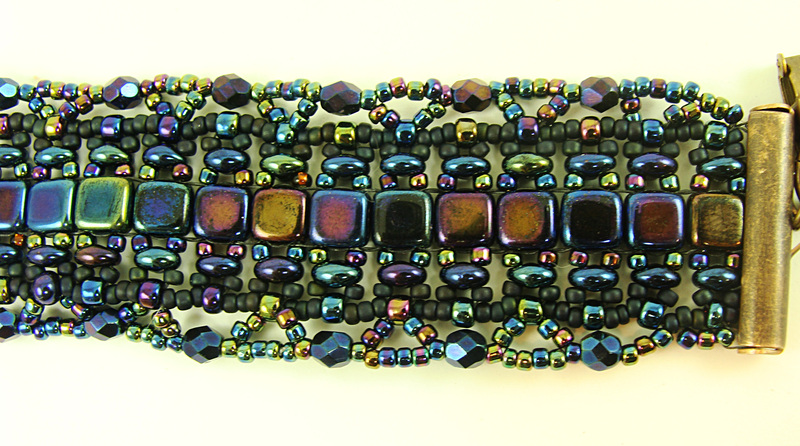 I like this one so much I will probably keep it for myself!! 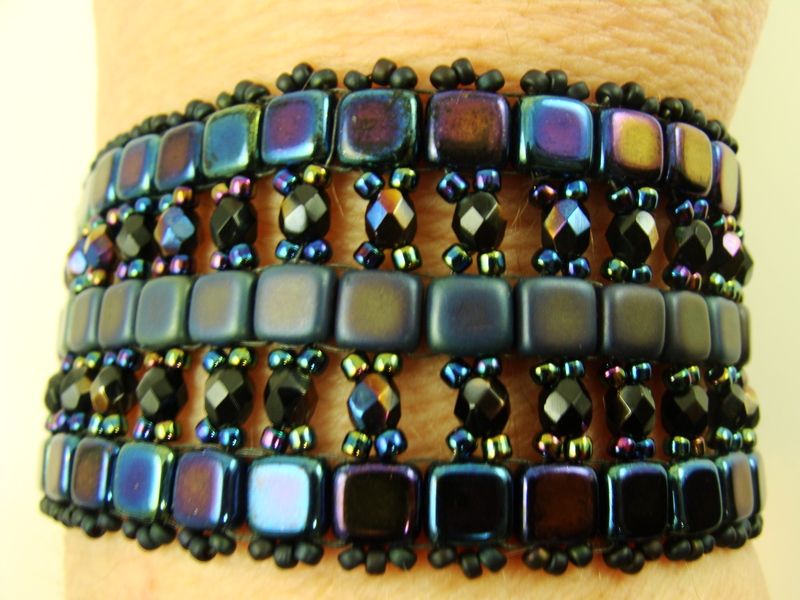 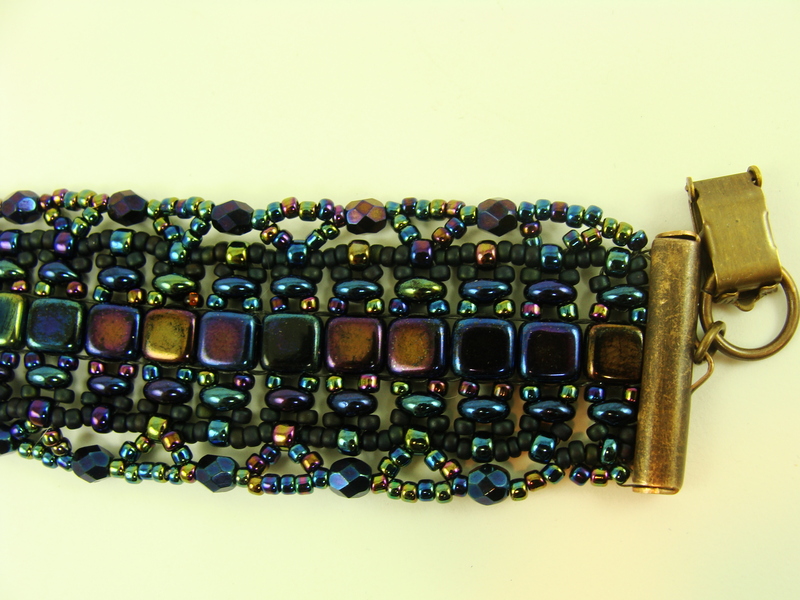 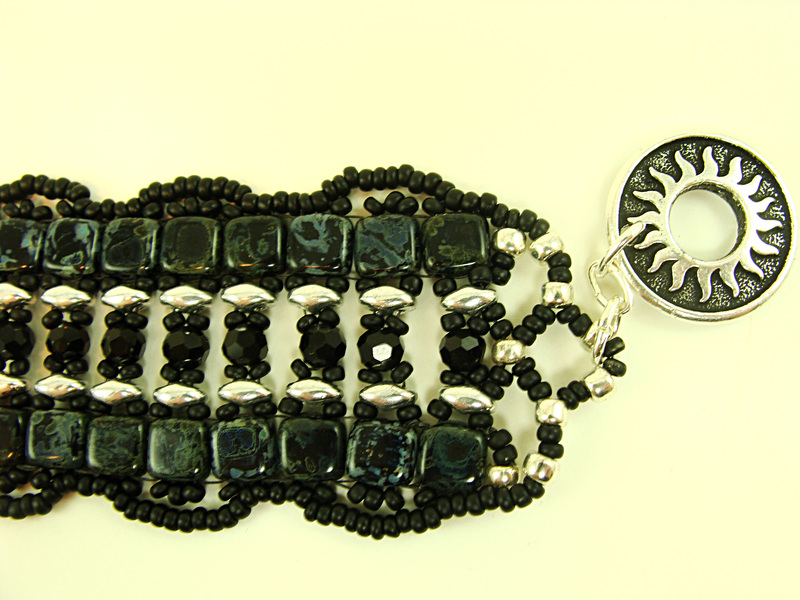 This little cuff bracelet is made with round two hole beads that look like the pavers in my garden. 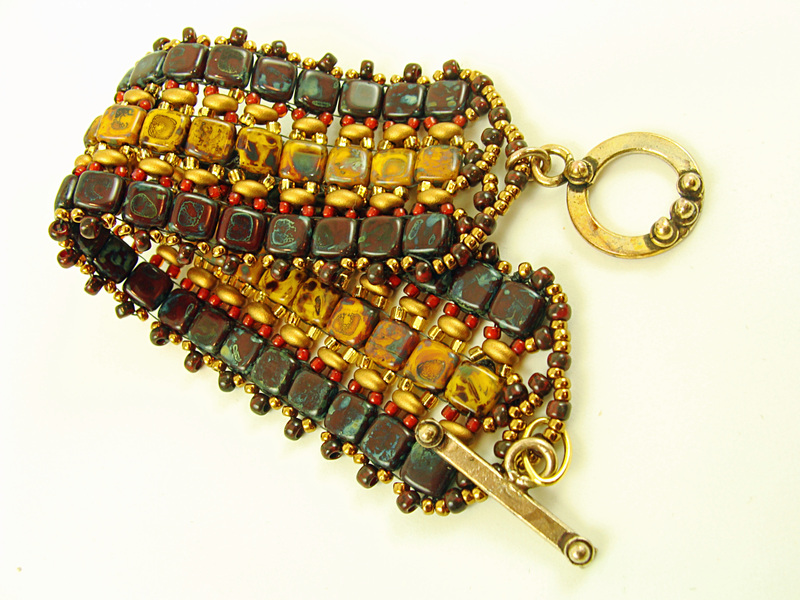 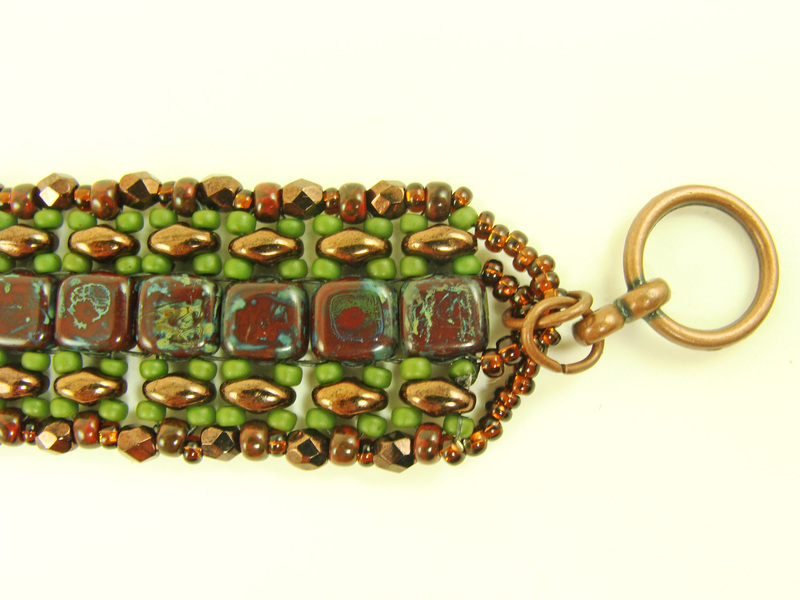 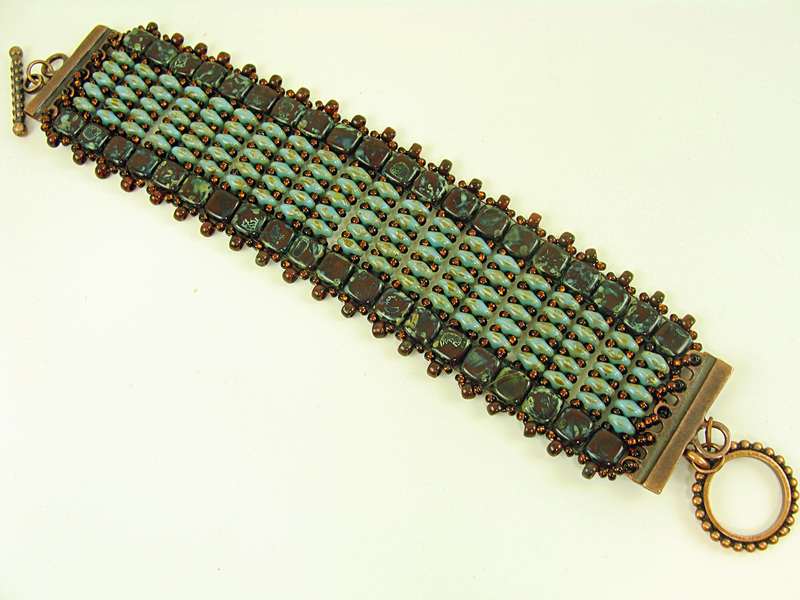 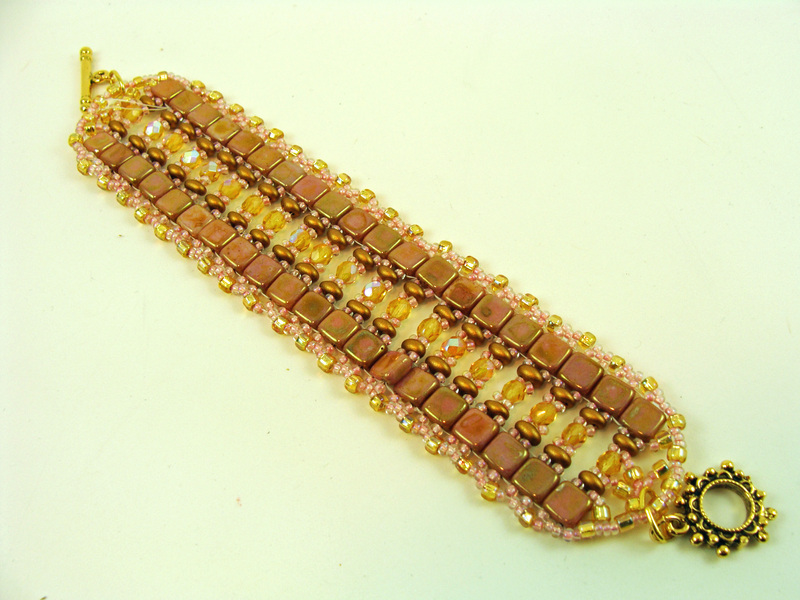 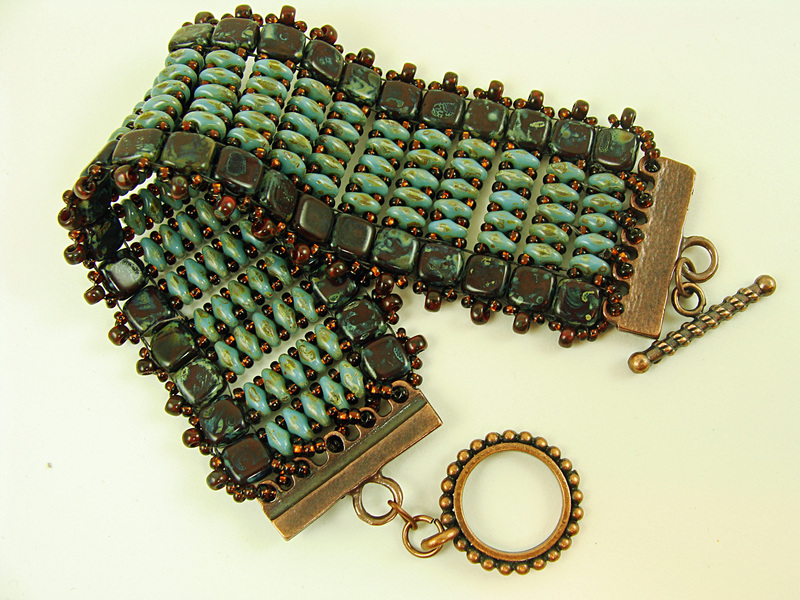 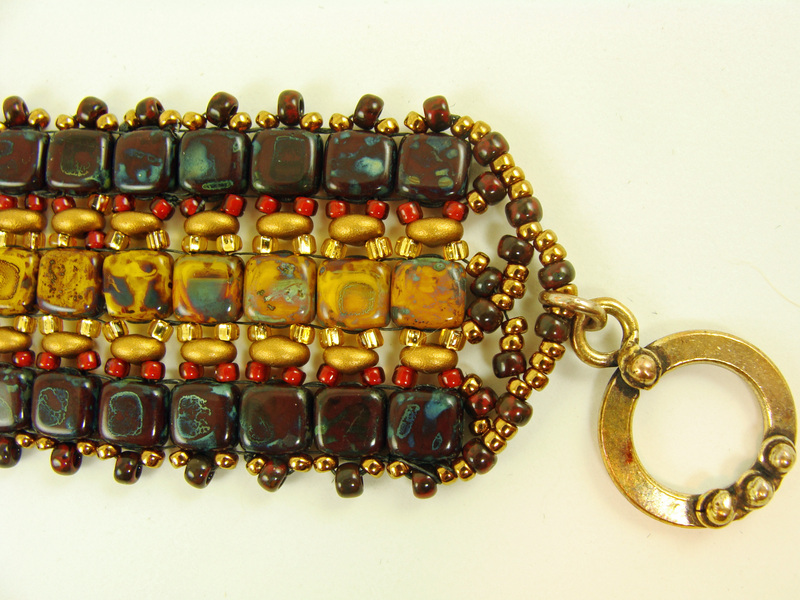 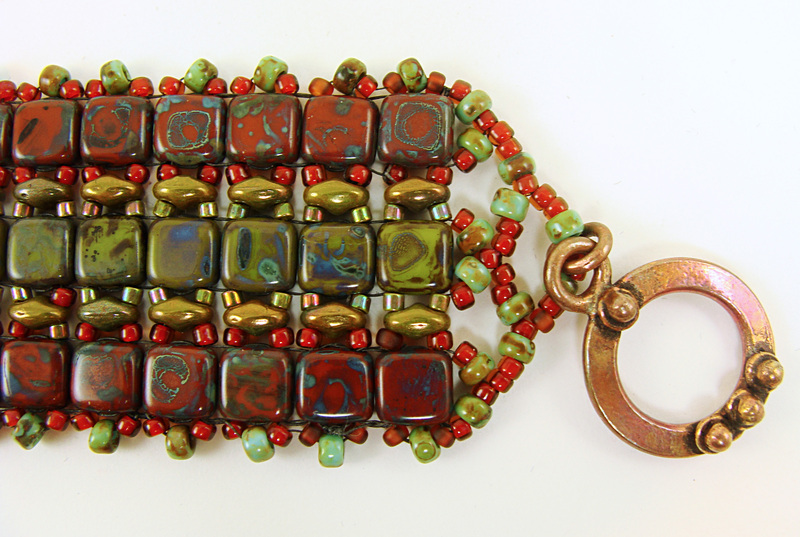 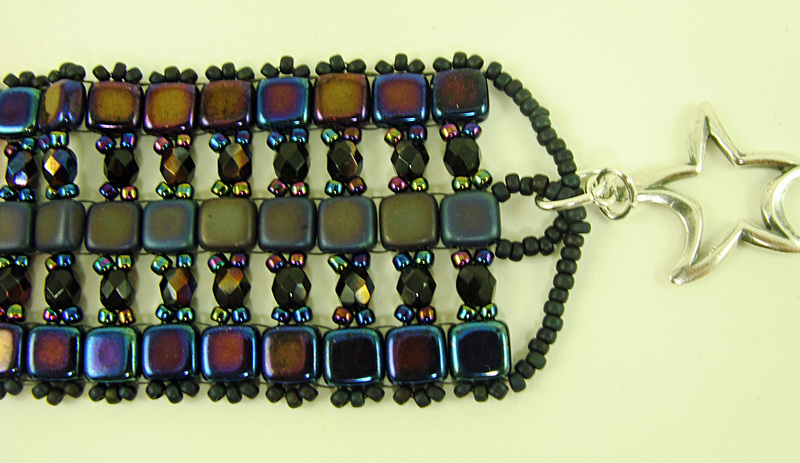 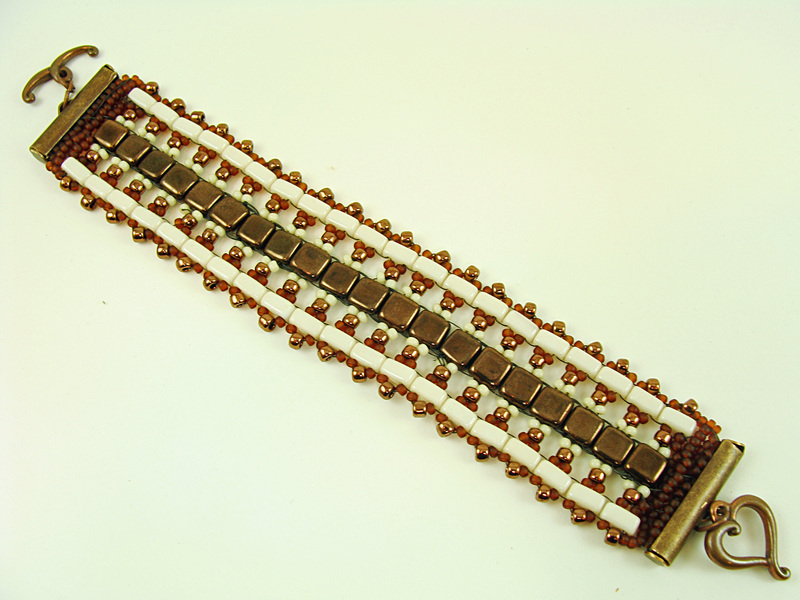 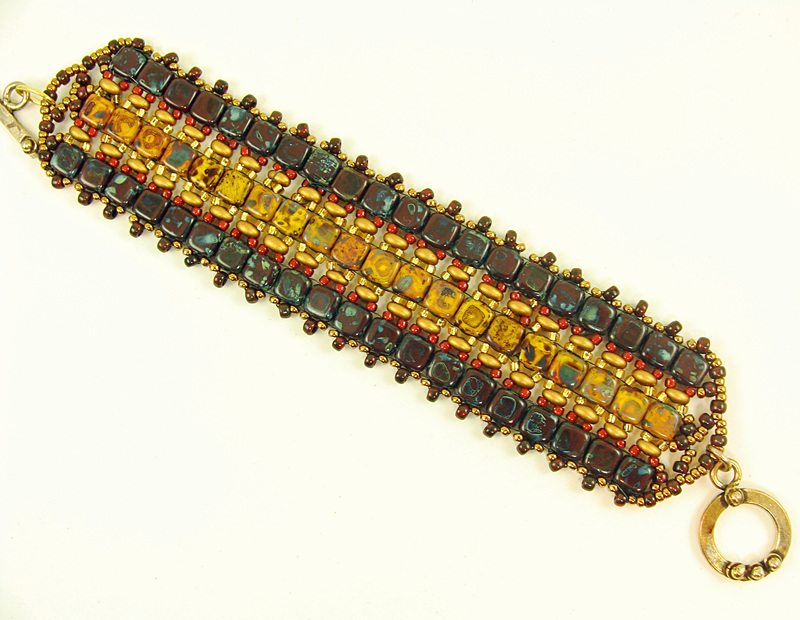 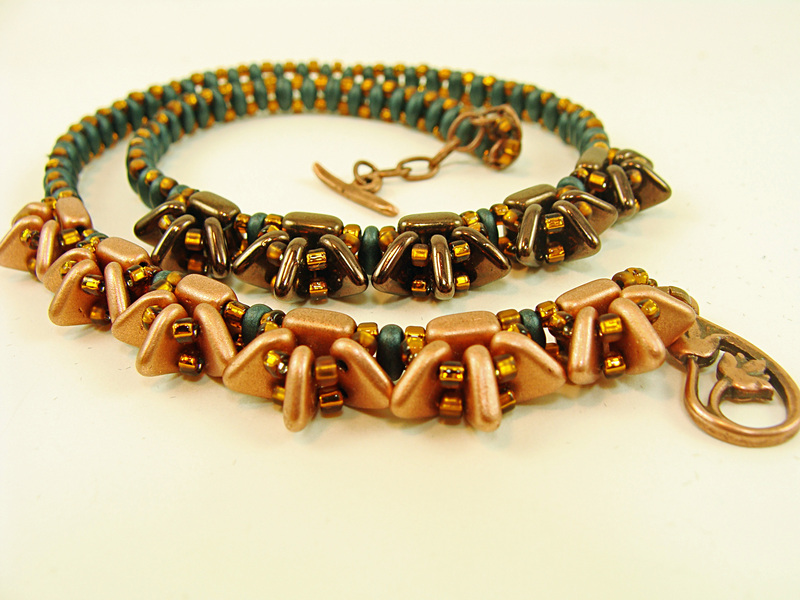 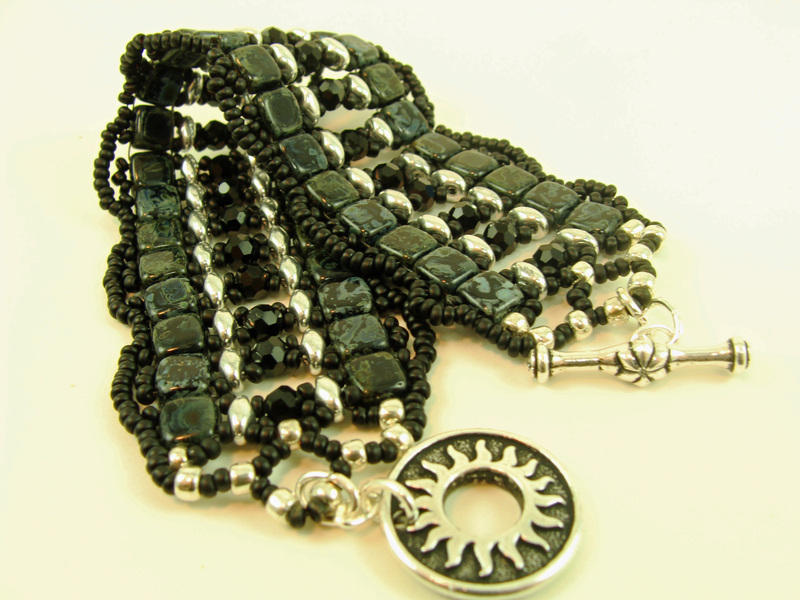 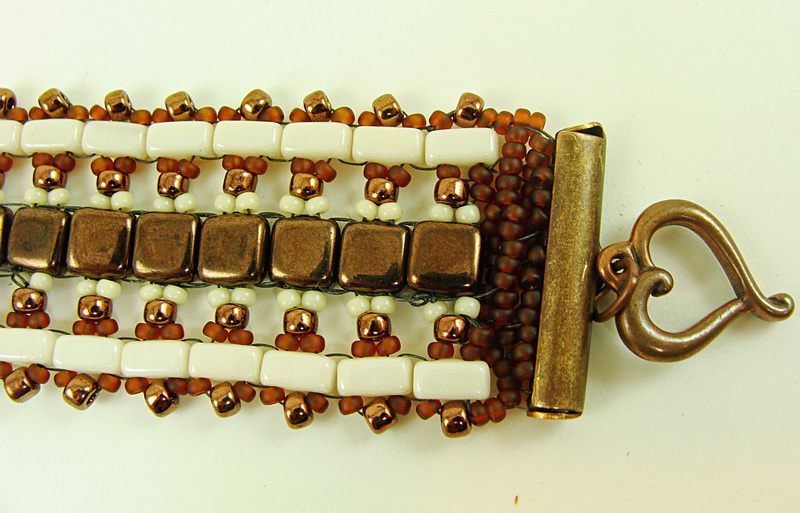 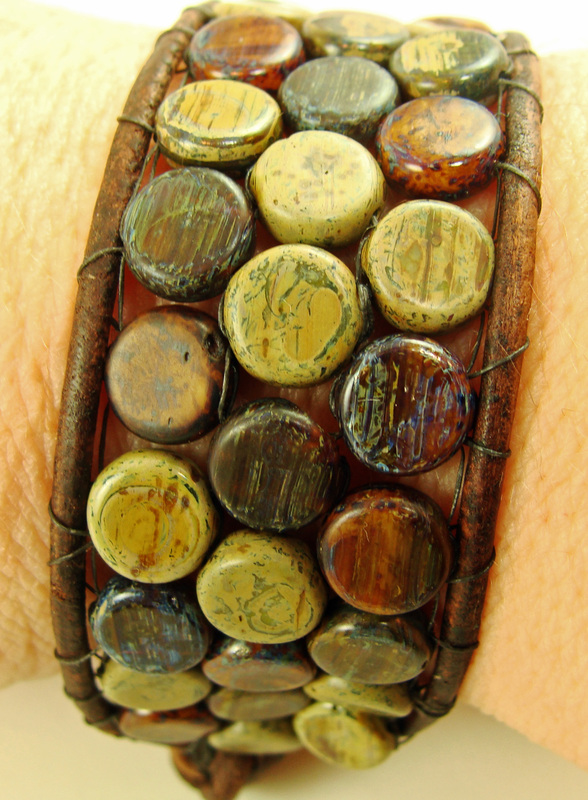 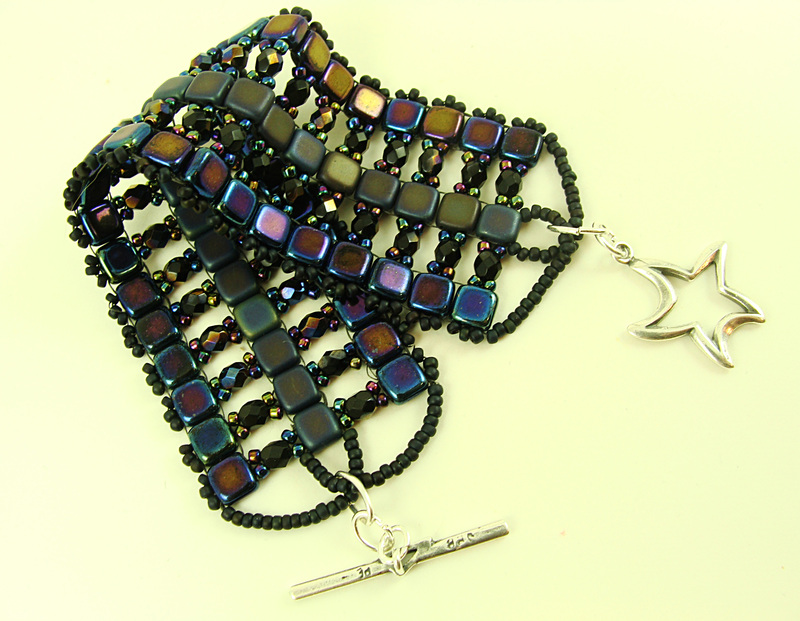 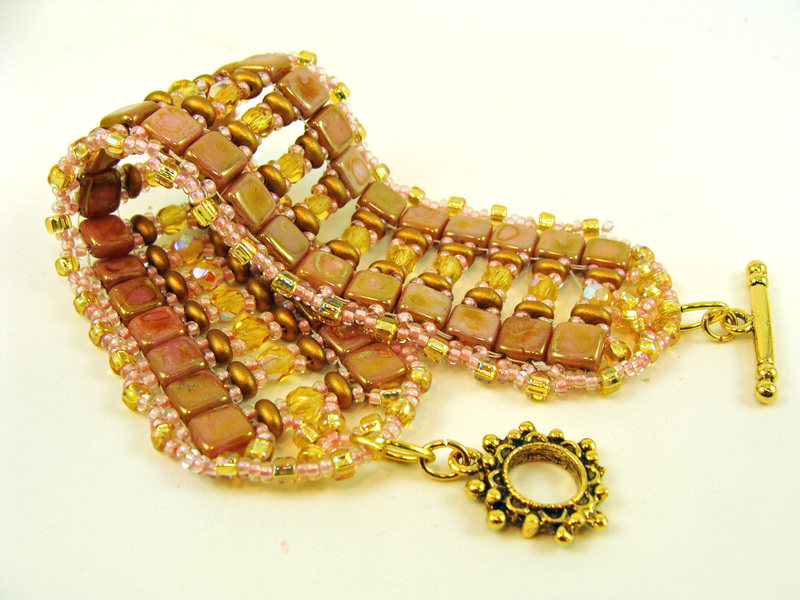 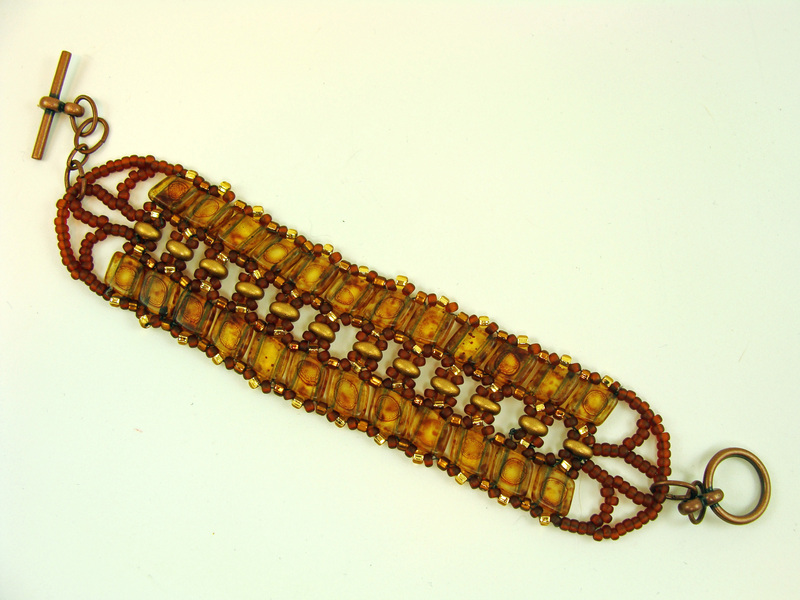 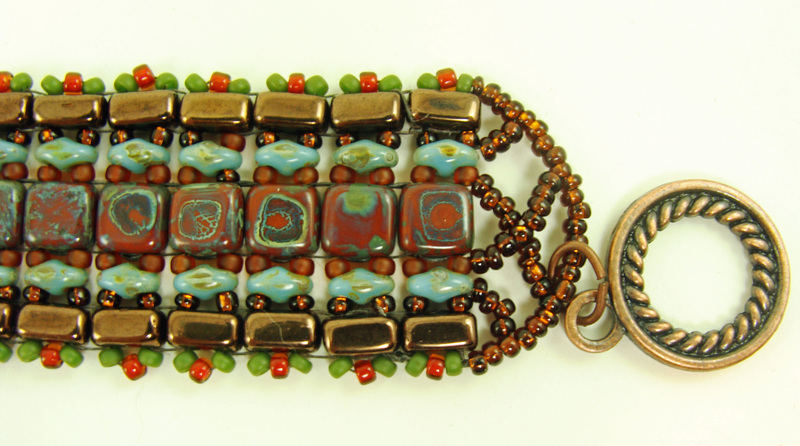 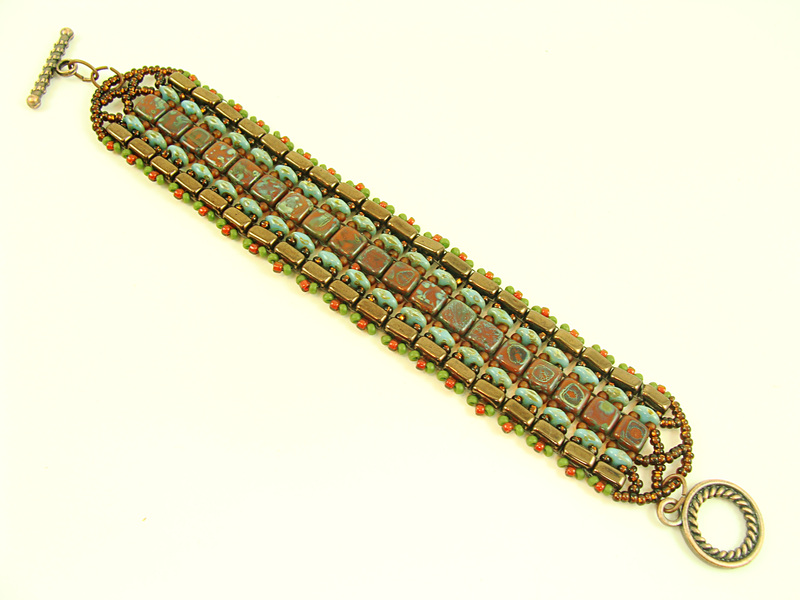 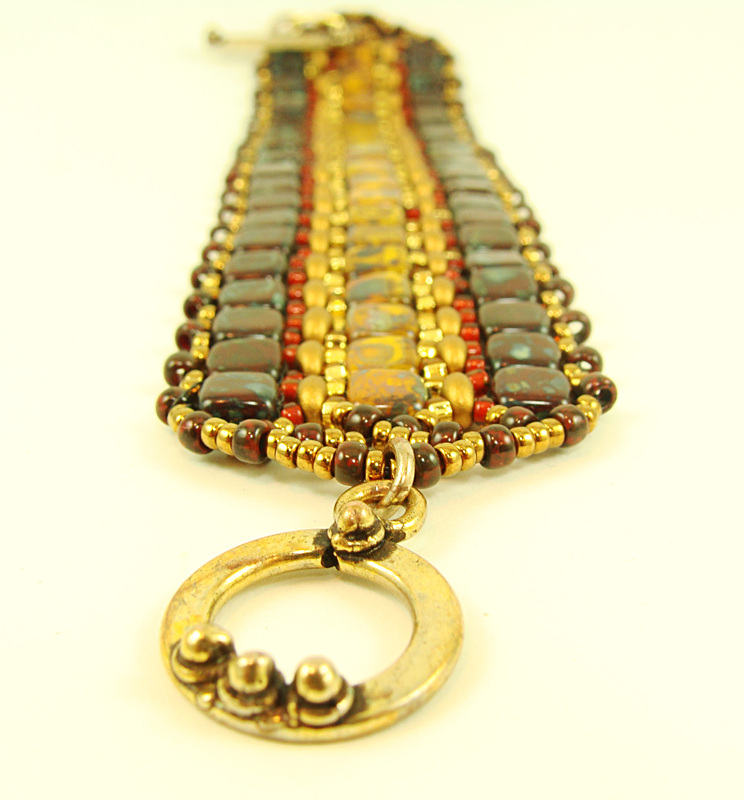 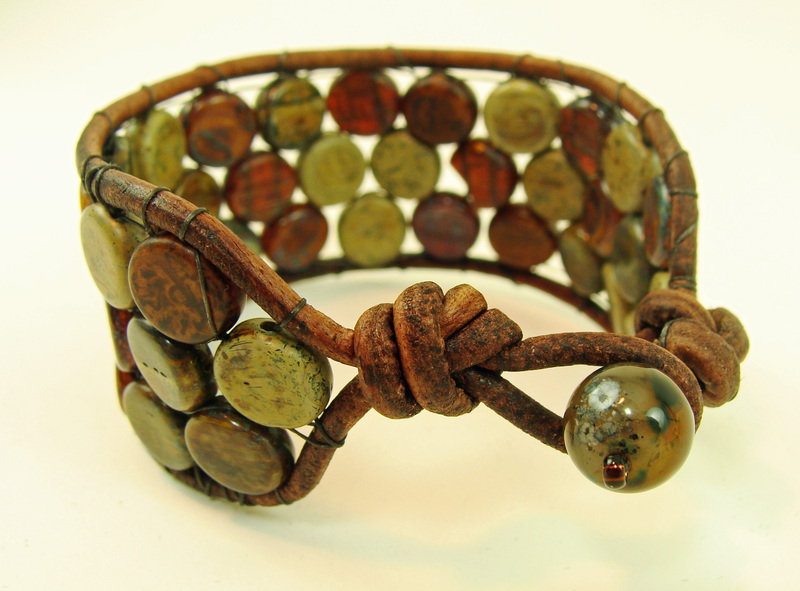 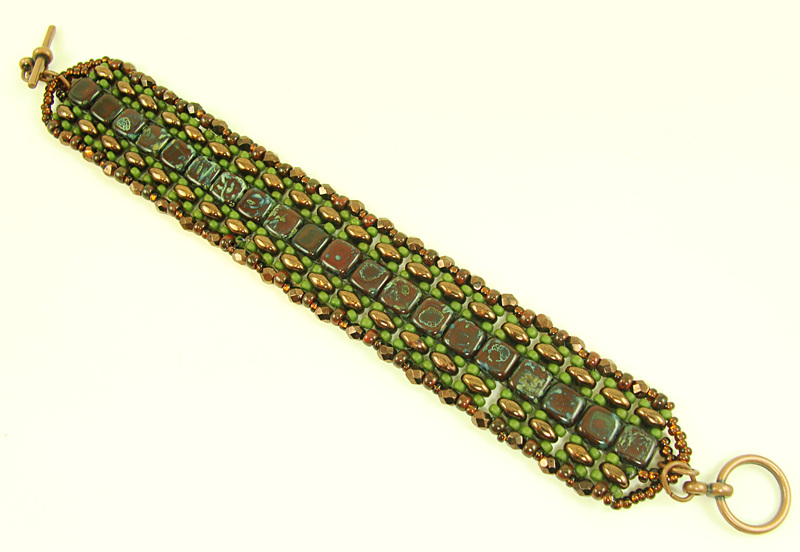 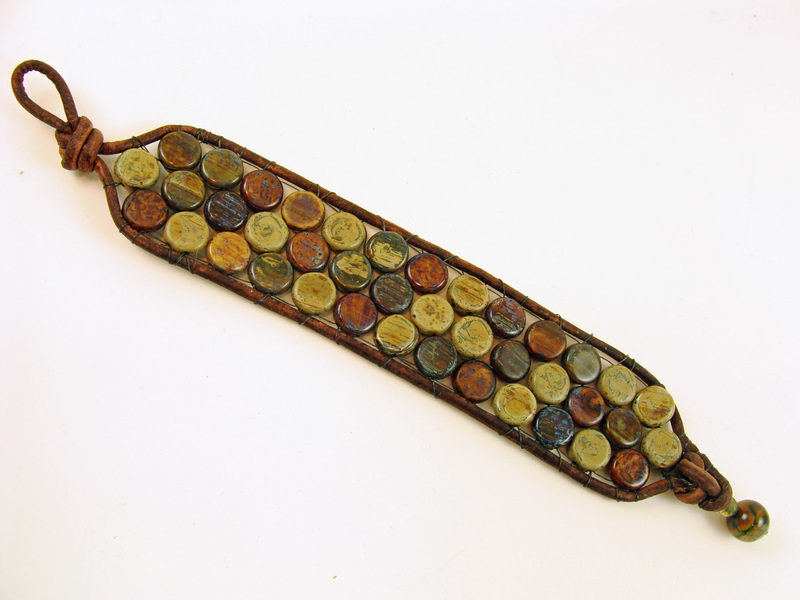 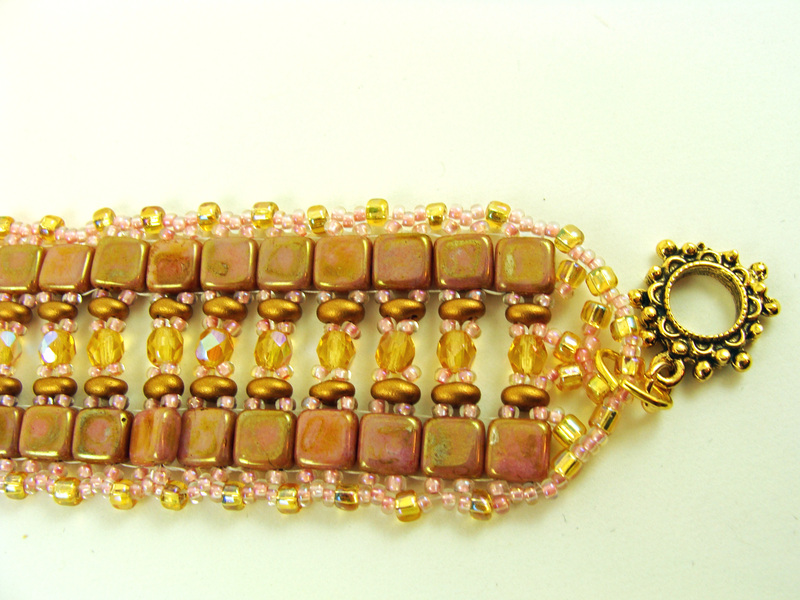 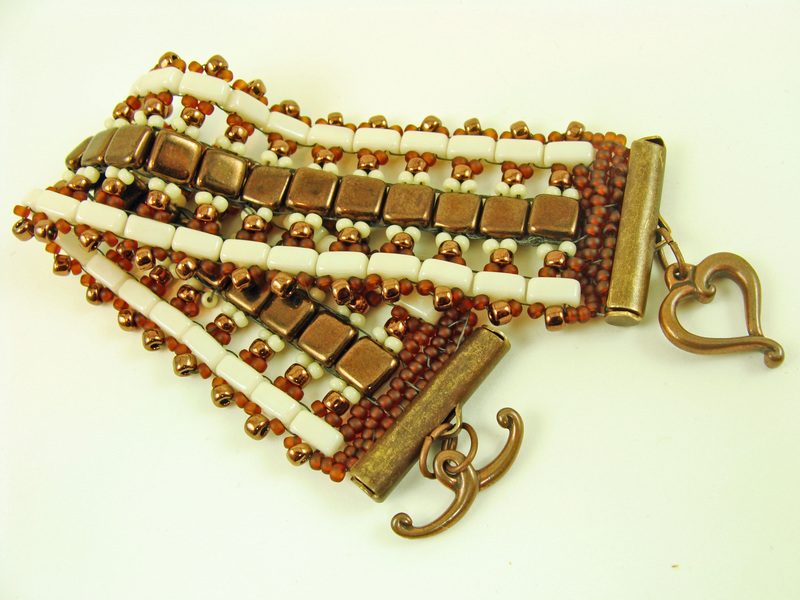 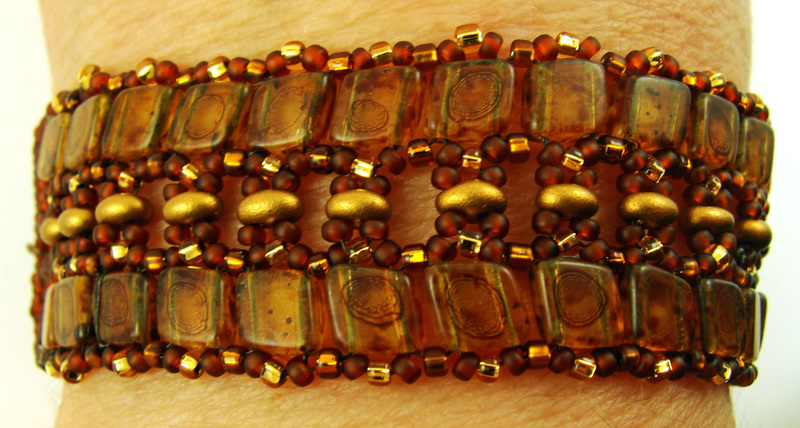 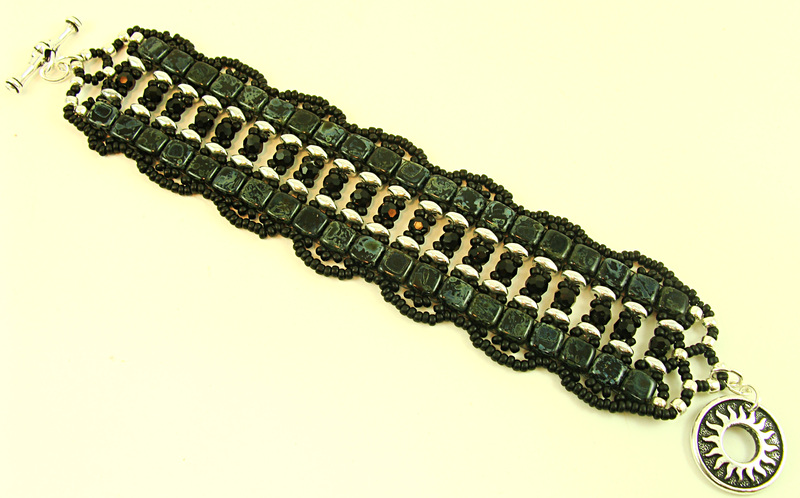 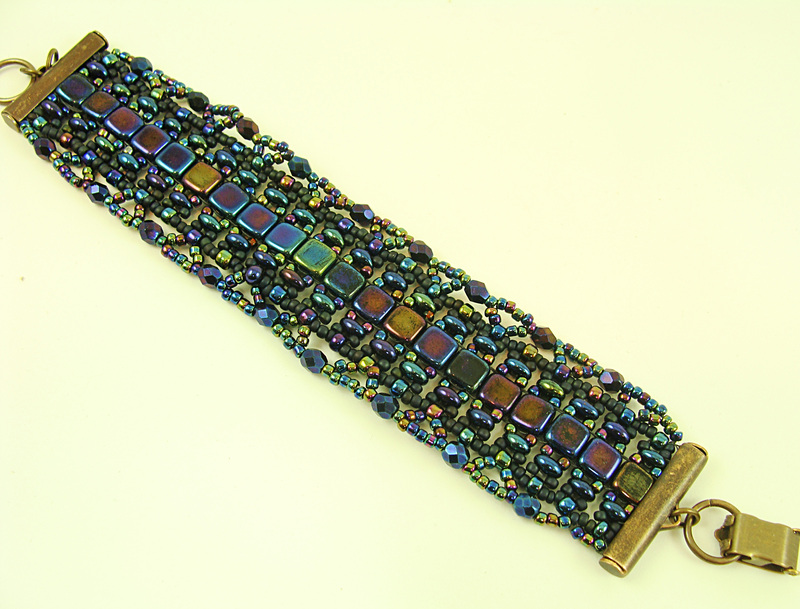 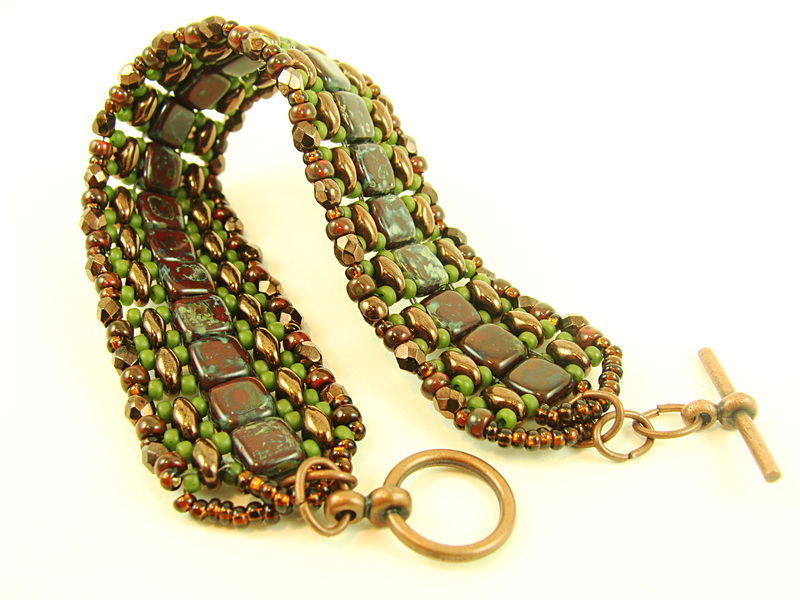 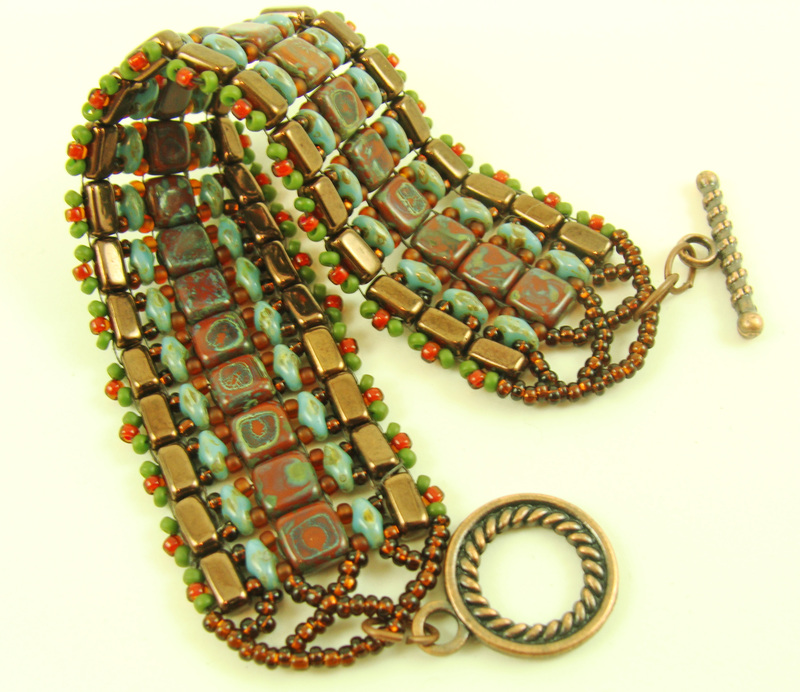 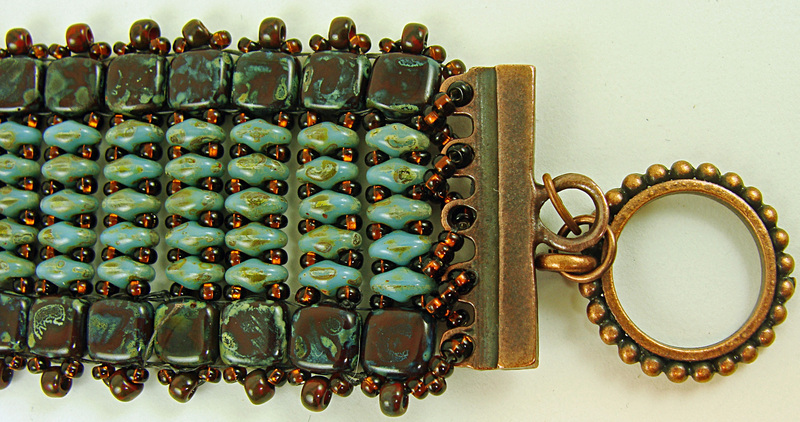 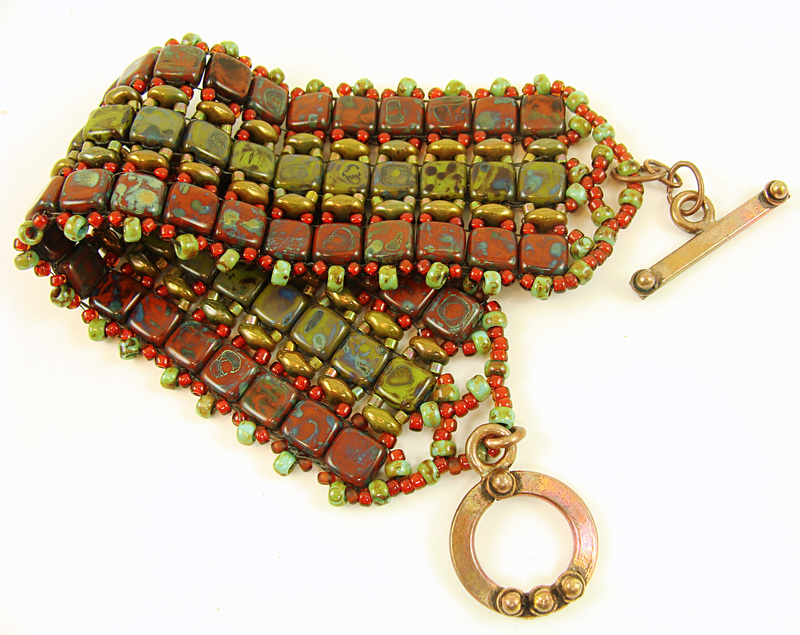 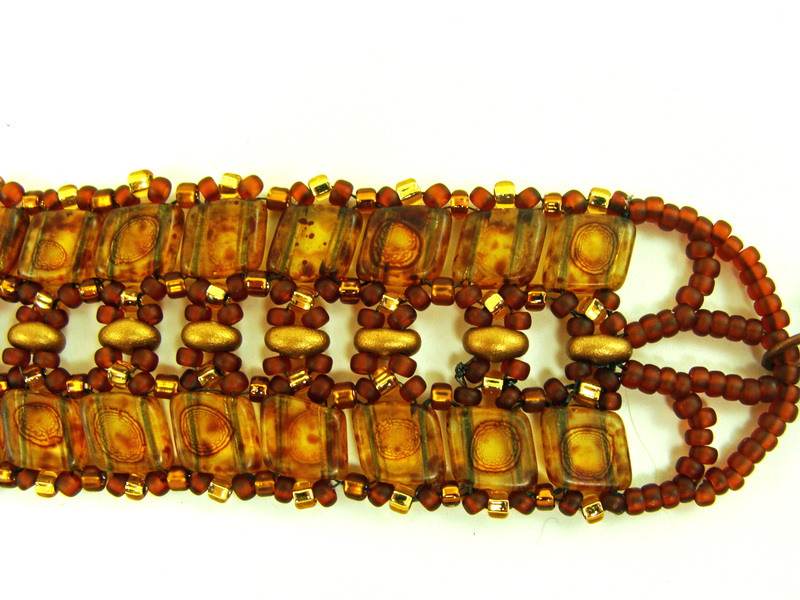 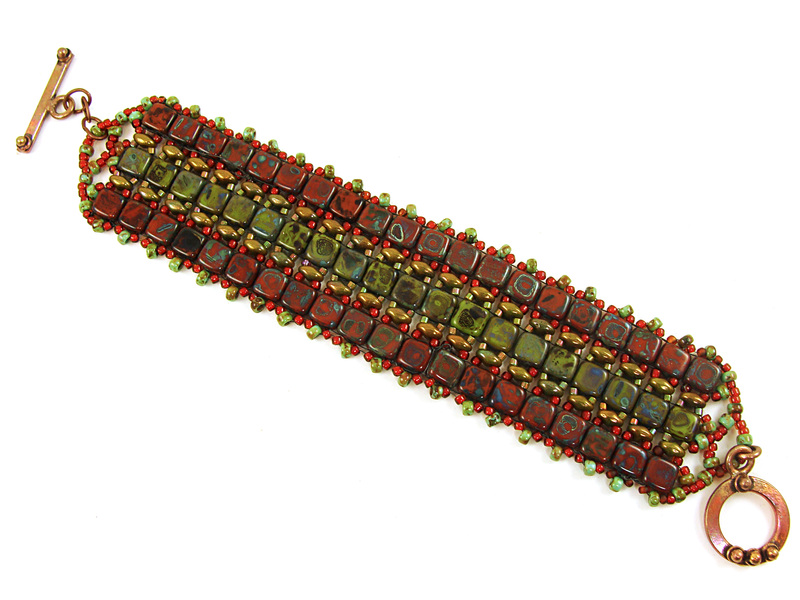 I love the earthy tones in the glass beads, and decided to finish it with a strip of leather.